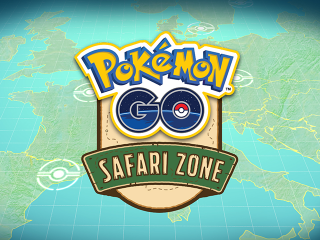 Niantic revealed new details surrounding the upcoming Pokemon Go Safari Zone events taking place in Europe this month. On Sept. 16, the first of these events will take place at Unibail-Rodamco Shopping Centres at CentrO in Oberhausen, Germany; Les Quatre Temps in Paris; and La Maquinista in Barcelona, Spain. At each event, attendees will receive an in-game medal and special 2km Pokemon eggs from the PokeStops found at each location. Attendees will also receive Trainer kits for participating in the events. During these events, Pokemon Lures will be active at each shopping center’s PokeStops, and players will be able to encounter Pokemon including Kangaskhan, Chansey and Larvitar. Attendees may also encounter Shiny Pikachu, Shiny Magikarp and various shapes of Unown. In addition, Gym and Raid Battles will be turned off at these shopping centers for the duration of the events. Finally, during these events, “select stores” in the shopping centers themselves will feature special offers for players. Ticket information for these events will be revealed in the future. Pokemon Go is available to download for free on the iTunes App Store and Google Play. The game has been downloaded more than 750 million times, and it has driven more than 500 million visits to sponsored locations, such as Sprint stores, since its launch in July 2016. Earlier this year, Niantic partnered with Wieden + Kennedy London to launch an advertising campaign for the game, which saw billboards appear in London, Tokyo and New York. Some of these billboards were activated as in-game PokeStops.